The garden is especially beautiful during the flowering, and forthat he pleased you with its flowering during spring, summer and fall, you need to create one or more beds and choose the plants and flowers, unpretentious and flowering from May to September. Making beds perennial flowers will create a flower garden where the plants will sprout, grow and bloom in one place. 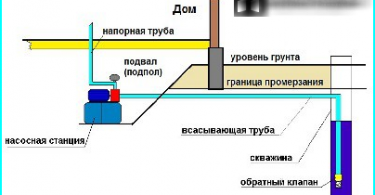 You will not have every year to sow seeds, plant seedlings, but in such a flowerbed, of course, also need to take care of - to adjust the color growth, remove dead leaves and inflorescence, make sure that there were no weeds. 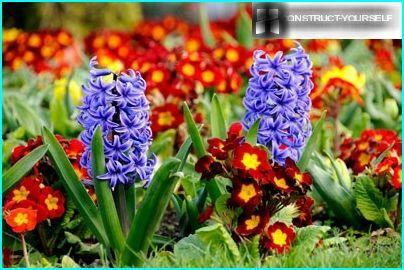 How to make a flower bed that will lookluxurious spring, summer and autumn, before the onset of cold weather? Making beds of perennial flowers it is hampered by the fact that during the flowering of many of them is not long, and flowers must be chosen so that the plants, which ceased to bloom, blooming can be closed. 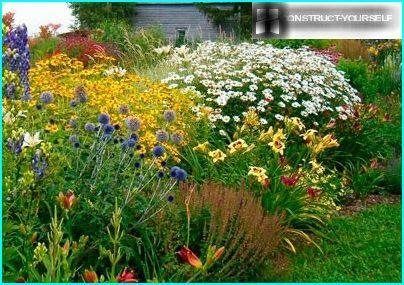 When choosing perennials for beds should take into account not only their height and color, and flowering time. Bulbous, begin to bloom in early spring andcompletes its flowering in early June, will make the garden a bright and festive. The first bloom Proleski, snowdrops, mouse hyacinths, crocuses, hyacinths, then they were gradually replaced tulips, daffodils, grouse, lily. Chart beds early bulbous perennials can be formed in several different ways - closer to the edge of the land Proleski and muscari, then - tulips of different colors. 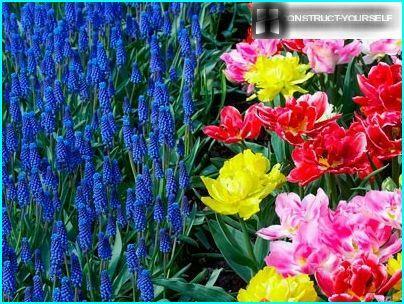 If the bed is round - in the center will be beautifullylook tulips in a frame of delicate fragrant muscari. Good combination of tulips and daffodils planted as a group, and after the manner of the Moorish lawn. A lily as a late flowering bulbous plant usually coexists perfectly with summer flowers. Avoid dense planting flowers in the flower bed - theyWe need a place to form and grow. 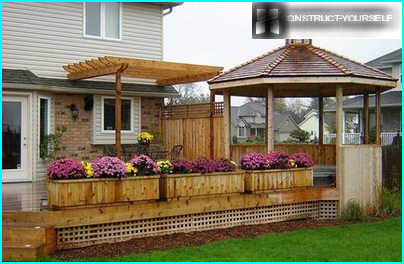 To fill the void until a certain place on a bed can be successfully use ground covers, ornamental bark and sawdust. Take care of the flowers, take care of them, and they are a significant part of the summer and autumn will lift your mood, to give a positive, pure energy of nature and exquisite beauty. One of the first low-growing perennials to bloom primrose flower beds, these flowers of various shades of rich well as the plant fillets. Over time primrose wither, but leaves themremain fresh and in the fall, and from the dried leaves of the onion flower bed should be cleaned. For undemanding perennials also include pansies, violets and daisies. 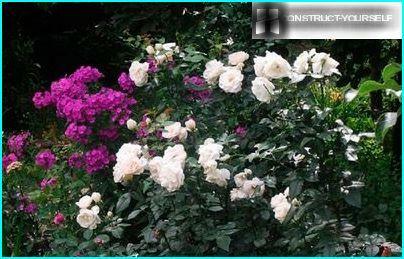 You can create a flower bed, combining her roses and phlox, especially flowers close shades - pink, white, burgundy. Rose will also look good in the company of yarrow and lavender. 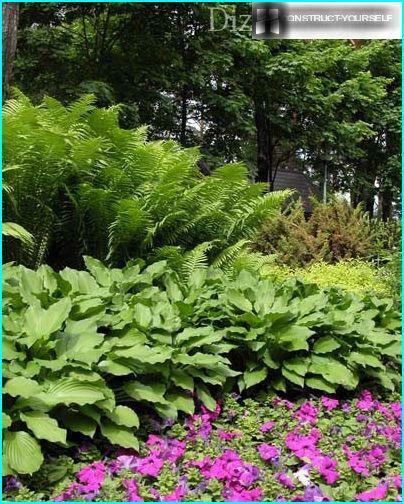 Over the same time, how to make a bed with the help ofperennials, you need to very carefully think about - to learn about the features of the plants you want to plant, a time of flowering, the peculiarities of the soil. 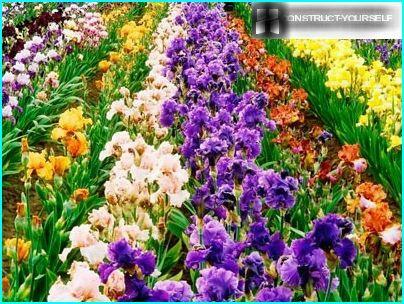 Ways breeding perennial plants, there are several - the multiplication by seed, cuttings, bulbs, root division. It should also know the best time to plant certain flowers. 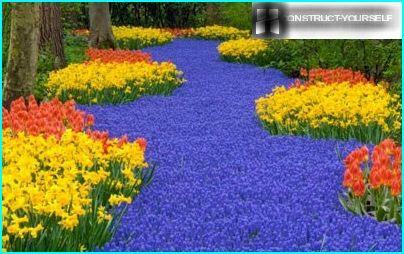 Many gardeners, having decided to create a beautiful flower bed,favorite flowers planted all at once. It is better to try to avoid the temptation, and choose a few varieties that will bloom all summer, one after another. This lily, pelargonium, foxglove, catnip. 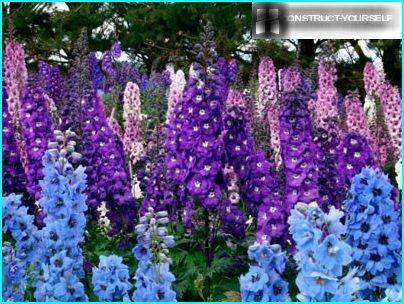 These wonderful flowers like delphinium, and may bloom for the second time, if at the end of the first flowering of crop and fertilize. 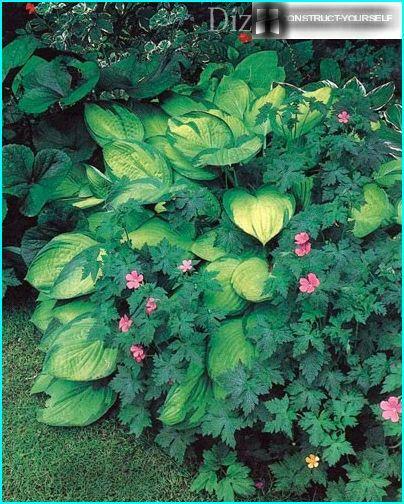 Among the perennials are found muchsprawling that may eventually capture territory, where the neighboring flowers grow. This bells, subulate phlox, violets, oxalis, spurge. These flowers are good in themselves, but their proliferation as desired can be stopped with fascia strip or remove excess shoots manually. 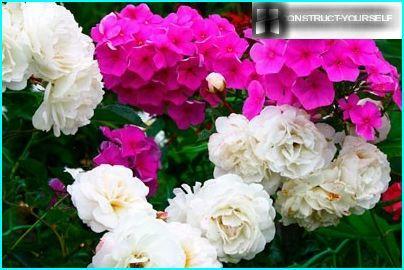 From the "invaders" can create a whole flower bed, for example, bells, which belong to the tall flowers, and dwarf phlox subulate several shades. In the fall the flowerbed aster reign, sentyabriny(Alpine aster), and chrysanthemum. Colours asters is very rich - from white, pale pink and mauve to lilac and purple. A beautiful autumn bloom longer summer flowers, chrysanthemums - before the onset of frost. Hosts - plants that attract not beautytheir colors, and the original shape and color of the leaves. These plants are universal - they are well tolerated and the heat and cold, drought-resistant, grow in the shade and in the sun. Their excellent decorative properties. That is why our hosts loved by gardeners. 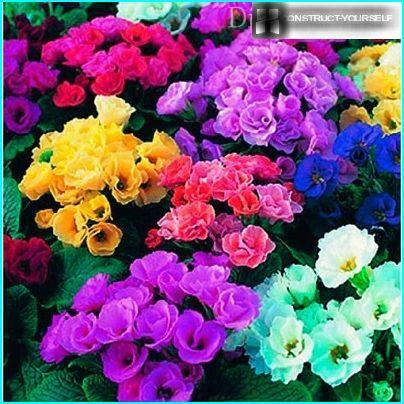 Hosts can either form a separate flower bed, and combined with other colors. Classy bush hosts with raised succulent leaves can become the center of the flower beds, where the composition is grouped, hosts may also be one of the tiers of beds of plants of different heights. 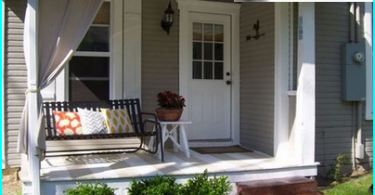 Great hosts look, planted under trees and in shady places, where sun-loving flowers will not grow. A flower bed of perennials made with their own hands -it is a huge scope for creativity, where you can experiment with all the plants and flowers that he liked. Try to create in his hostary garden, where different varieties of host will surprise interesting shapes and colors, and in combination with other colors can be created at the exclusive garden, not unlike any other. Copyright © 2016. All rights reserved Construct-yourself.com. When copying materials reference is obligatory on our resource.